CHICOPEE, Mass. – Police are providing extra patrols around the home of a Massachusetts woman who won the $758.7 million Powerball prize. 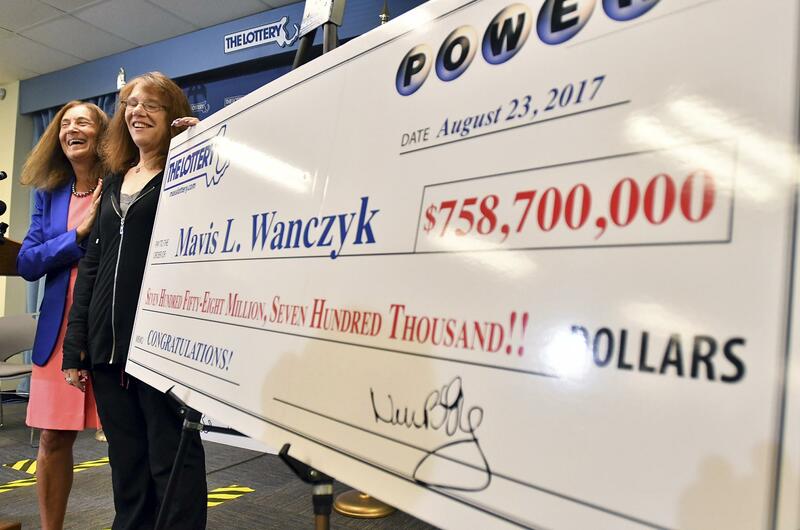 Mavis Wanczyk, a hospital worker from the western Massachusetts town of Chicopee, was announced Thursday as the winner of the biggest undivided lottery jackpot in U.S. history. Wilk said officers are keeping an extra eye out, and have even parked in her driveway, as members of the media and others have descended on the neighborhood. Officers have spoken to neighbors to tell them that if they see anything suspicious, they should call the police, he said. While reporters have been respectful, Wilk said there have been reports from neighbors that others have been hanging around, looking for Wanczyk. “Besides media, there have been people knocking on doors, asking people where she lives. We’re not going to tolerate her being harassed or bothered,” he said. Wilk said they were told by a neighbor that she is not around. Wanczyk quit her job on Thursday after learning she had won the prize. Lottery officials say she chose to take a lump sum payment of $480 million, or $336 million after taxes. Wanczyk has an adult daughter and son, and was accompanied Thursday to claim her winnings by other family members. MassLive.com reports that her ex-husband was killed last year in a hit-and-run. Court records show Mavis and William Wanczyk divorced in 2012. William Wanczyk, 55, of Northampton, was killed in November when he was sitting at a bus shelter in Amherst, Massachusetts, and a pickup truck plowed into it. He had served as a Northampton firefighter from 1986 to 1989 before being injured on the job. Peter Sheremeta, 20, of Belchertown, was later arrested and charged with manslaughter, motor vehicle homicide, drunken driving and other charges. He has pleaded not guilty. Authorities say a truck without its headlights on was seen speeding before it started to fishtail, drove onto the sidewalk and struck the bus shelter. The heavily damaged truck was found abandoned nearby. The couple’s daughter, Marlee Wanczyk, told the Republican newspaper at the time of Sheremeta’s arraignment that her father was a “wise-cracker” who enjoyed playing practical jokes. Published: Aug. 25, 2017, 11:59 a.m.